Before and After shots of a patio cover which provides a lovely shady and weather protected area for use all year round. Utilizing Stramit Sunset Patio Panels, which are a purpose-designed roofing material, provides a smooth flat ceiling finish look. Are you wanting a Patio or Pergola Builder in the Newcastle, Hunter Valley, Lake Macquarie area’s? 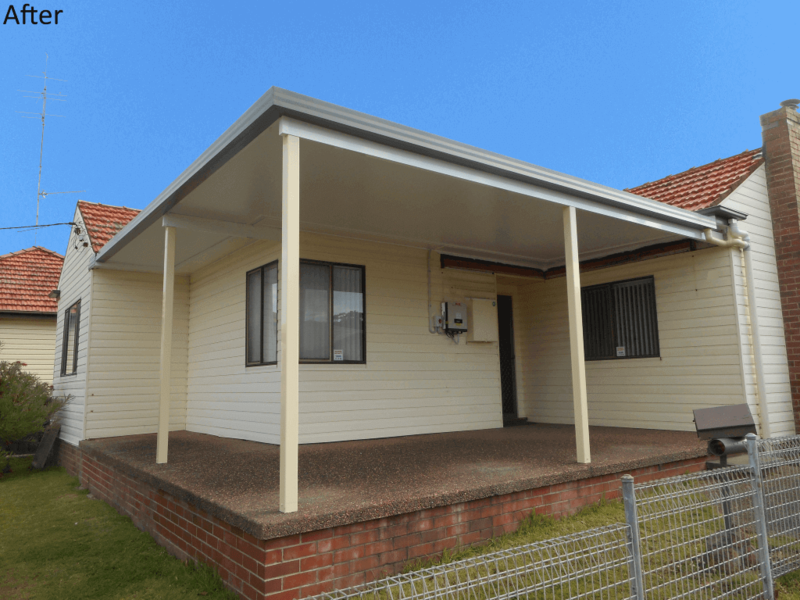 Well with a Walker Home Improvements EasyCare Patio, Pergola or Veranda, you will enjoy your new shaded and weather protected Flat or Gable Roof Patio Pergola or Veranda even more. This will give you extra living space, and you will be able to spend more time outside with the family for games barbecues and entertainment fun. 1. Decide were it is to be located on your property, and any special considerations? 2. How big will it be, and how many people will be using it? 3. How often is it going to be used, and the time of day or year, is it going to be used? 4. Is it to be Gable, Flat or Both, and to be level with the house roof line or above? 5. Does it enhance the appeal & value of your home, and blend with surrounding homes? 6. Will it conform with Councils standard and not have to go through Council? 7. 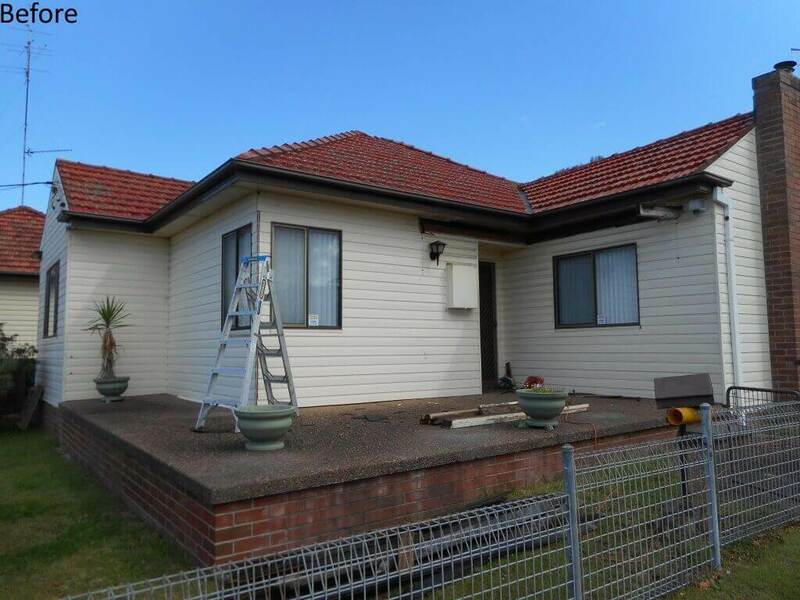 Does the builder have the qualifications, licences and experience to complete the job? 8. Have you checked on referrals and seen examples of there work? All these requirements can be address with an Obligation FREE Consultation with our Project Consultants, who will come out and advice on the best way to build your new Patio Pergola Veranda, and provide a written obligation Free Proposal for your consideration.